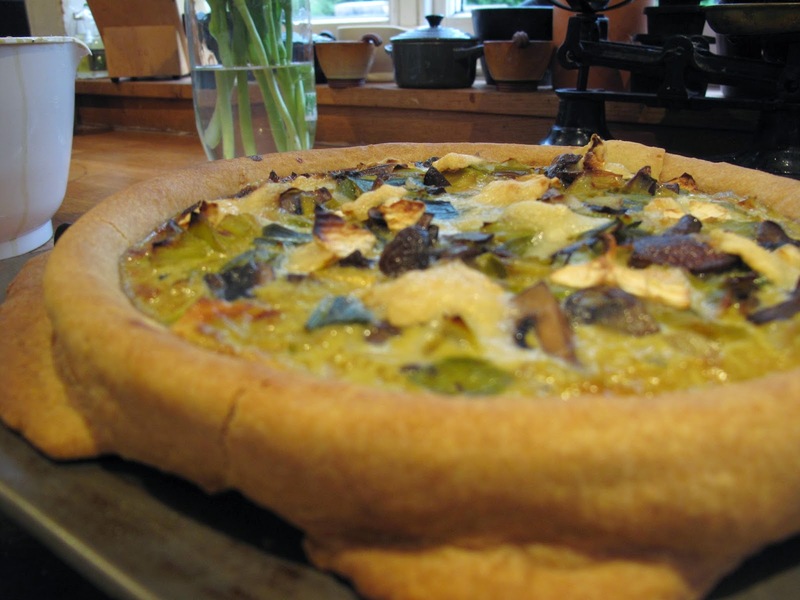 So, to start of a series of summer dishes, here is a lovely Quiche. It's particularly enjoyable to make this when you have plenty of time on your hands and can take your time with each step, perhaps on a Sunday or a lazy weekday afternoon. It is a versatile dish, easily eaten chilled with a side salad, or warm with boiled new potatoes and peas, for example. 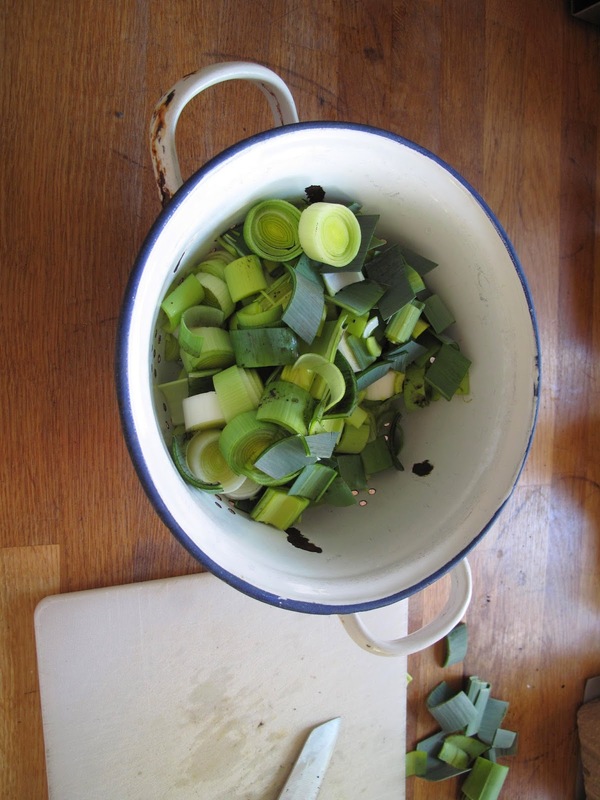 To start with I'd slice and wash the leeks first, as this takes a bit of prep, so it's good to get it out of the way. 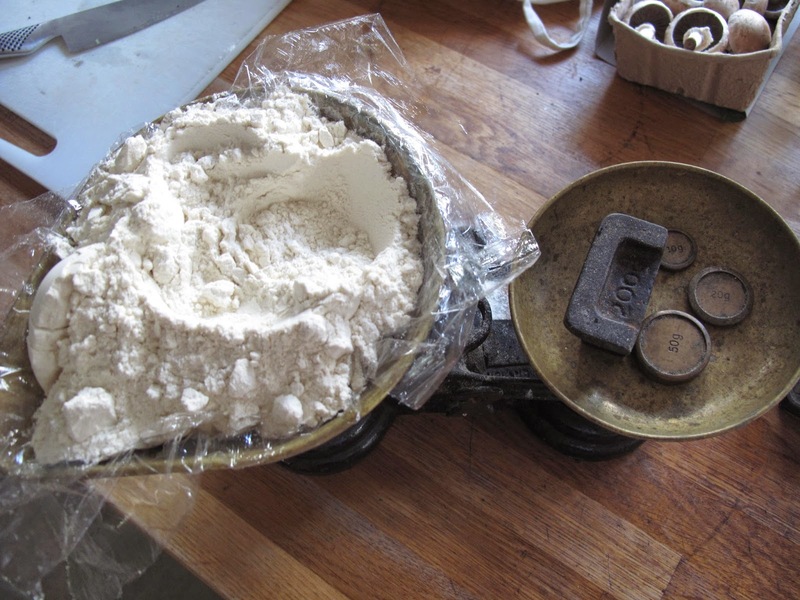 Then, to make the pastry, weigh out the flour and butter. 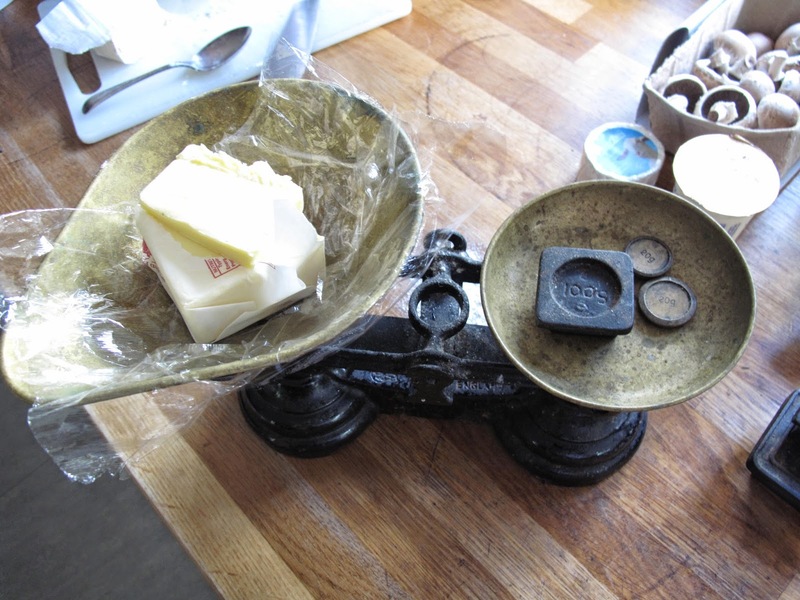 Pastry demands precision, so make sure the quantities are bang on. Adding 6-8 tablespoons of cold water to the mix will give it enough moisture to bind together. Be careful while adding the water because it may become too wet very quickly. 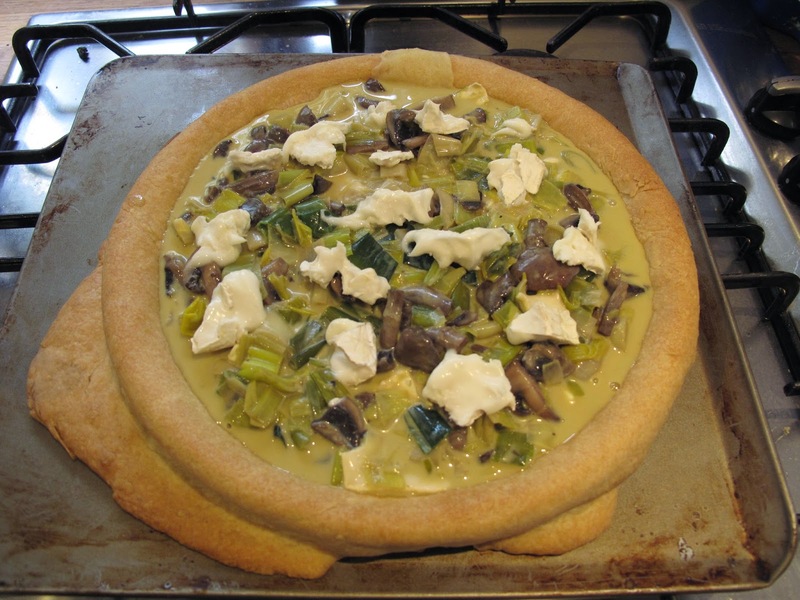 If this happens, just add more plain flour, a tablespoonful at a time, until the dough is at the right consistency - wet enough to hold together, but dry enough to not stick to your hands. 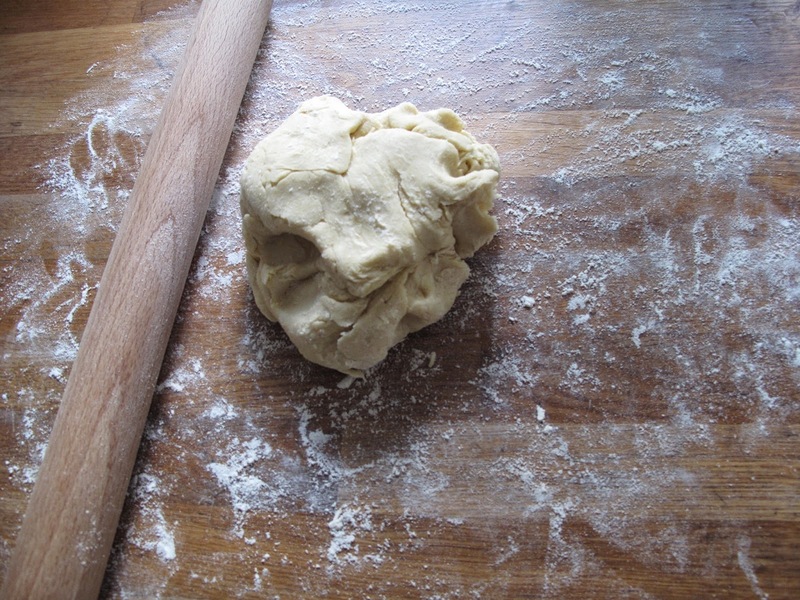 On a lightly floured, clean, dry surface, roll out the pastry to about 30cm in diameter. Then carefully lift it over a tin. 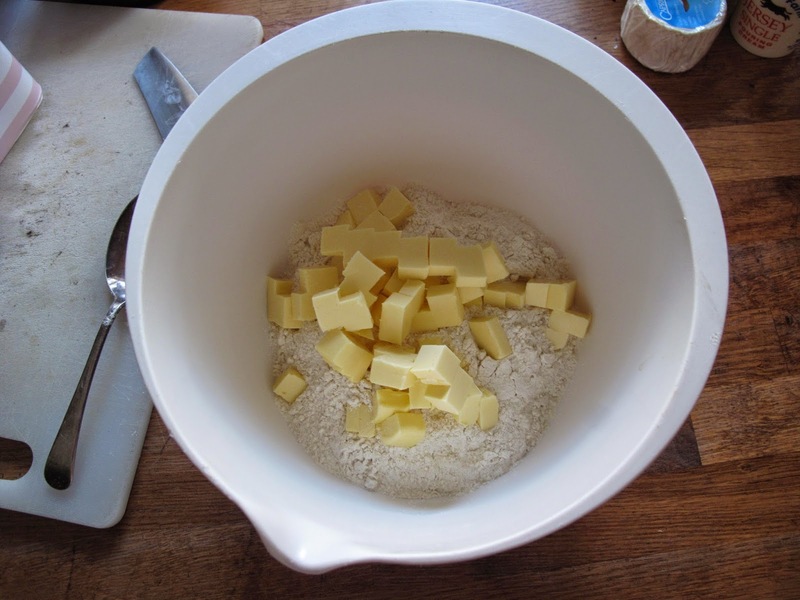 Using any scraps still left in the mixing bowl, gently push the pastry into the edge of the tin. Be very careful not to tear it. Then cover the whole tray and leave it in the fridge to cool for a minimum of 20 mins. Also, pre-heat the oven to 200 degrees centigrade at this point. While the pastry is chilling, it's time to make the filling. Melt the 25g of butter and add the washed, drained, leeks. Cook the leeks over a low heat with the lid on for 10 minutes. While they are cooking, chop or slice the mushrooms. After the 10 minutes, turn up the heat and add the mushrooms. Cook for a further 5 minutes. By now, it should be time to take the pastry out of the fridge. First of all, prick the base lightly with a fork. Its next step is to be blind-baked. This means that the pastry needs to be cooked, but covered. 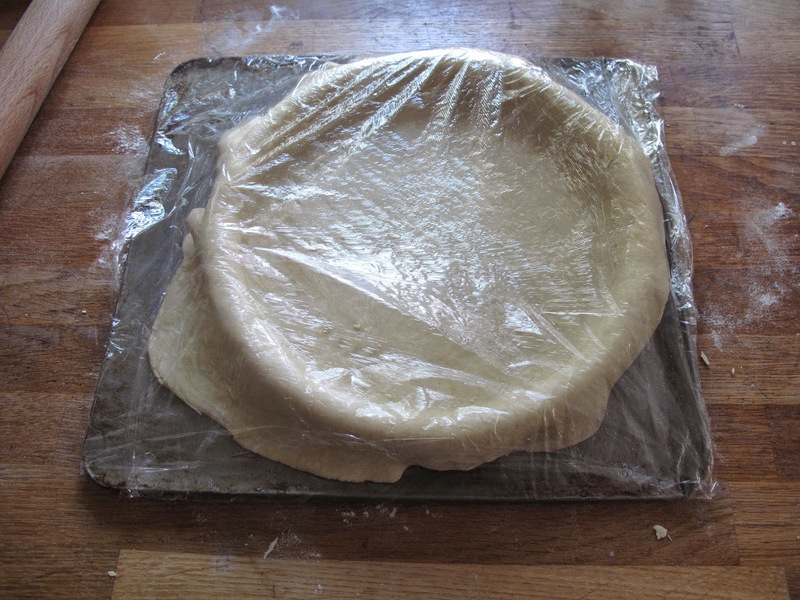 Using grease-proof paper, cover the base of the pastry. 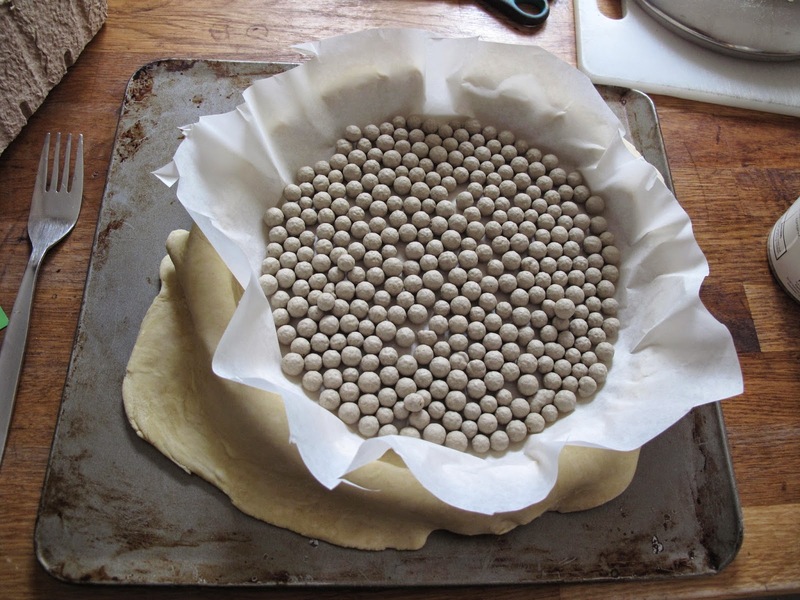 Then, using either baking beans (pictured below) or copper coins, cover the surface of the paper. Leave it to cook in the oven for 20 minutes. 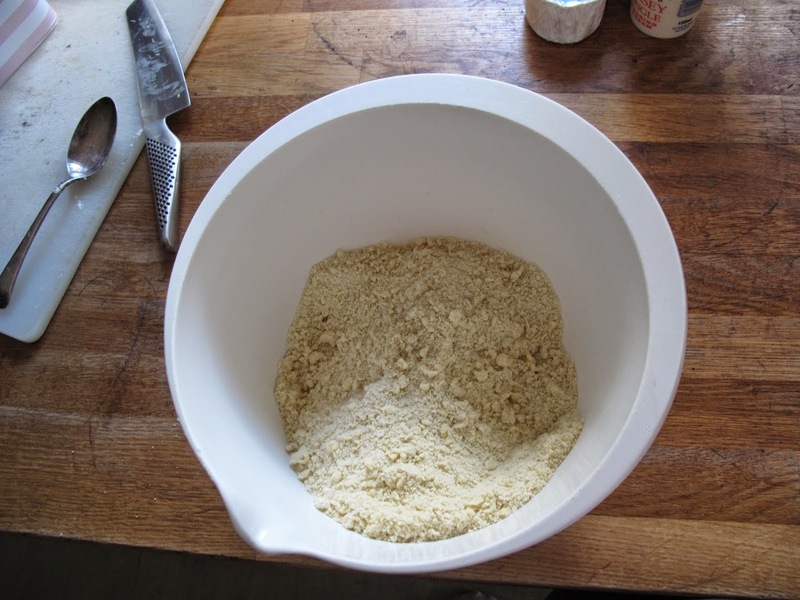 After 20 minutes, remove the baking beans (or coins) and paper, and return it to the oven for 5-10 minutes until it is a light golden brown colour. The reason for blind-baking the pastry is to make it a strong, dry base which will contain the wet filling without becoming soggy itself. In a separate bowl, whisk three eggs and gradually add the cream. 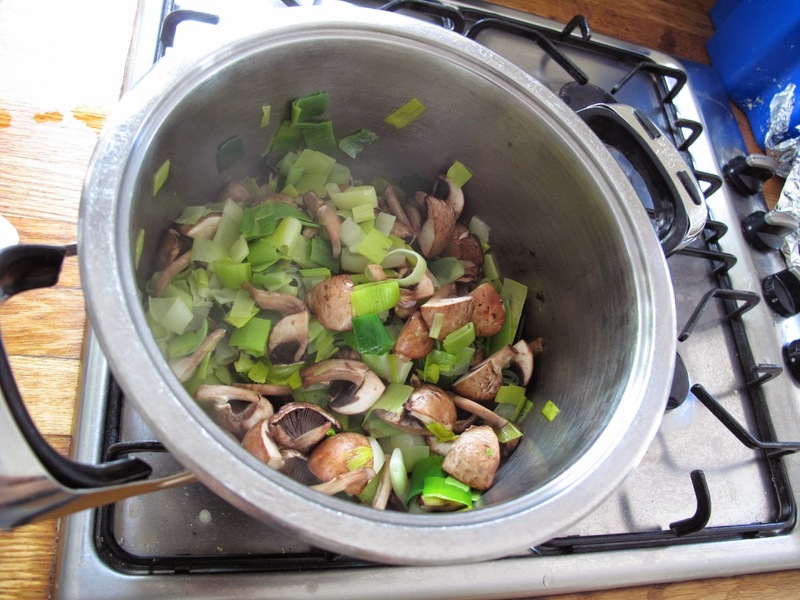 Stir in the mushrooms and leeks, crumble in half of the cheese and season with a pinch of salt and pepper. 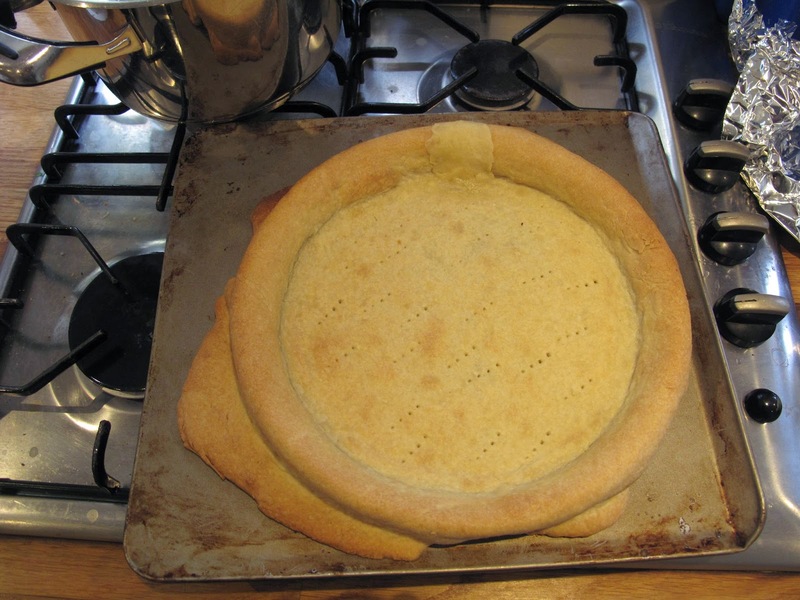 Then gently, fill the pastry case with the filling, without it spilling over the sides. Crumble the rest of the cheese on top. Bake the quiche for 20-25 minutes, until the top is crispy, the filling is set and it is starting to turn golden. 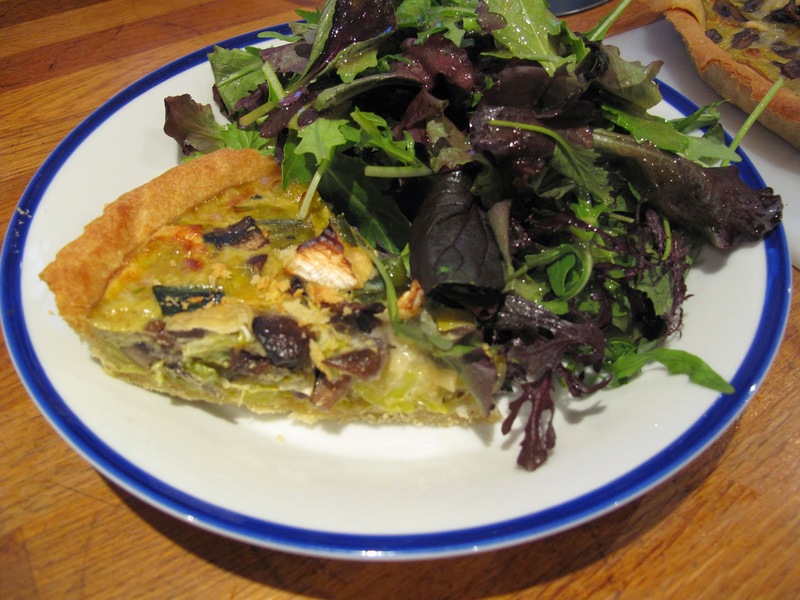 Let the quiche cool a little before serving, trim the edges of the pastry and cut into generous slices. I LOVE good food, strong flavours and knowing that what I'm eating is good for me. I'm also vegetarian.